The Kervilor's indoor pool is open from the opening of the campsite until its closing time. With this facility you will enjoy your stay in La Trinité-sur-Mer. 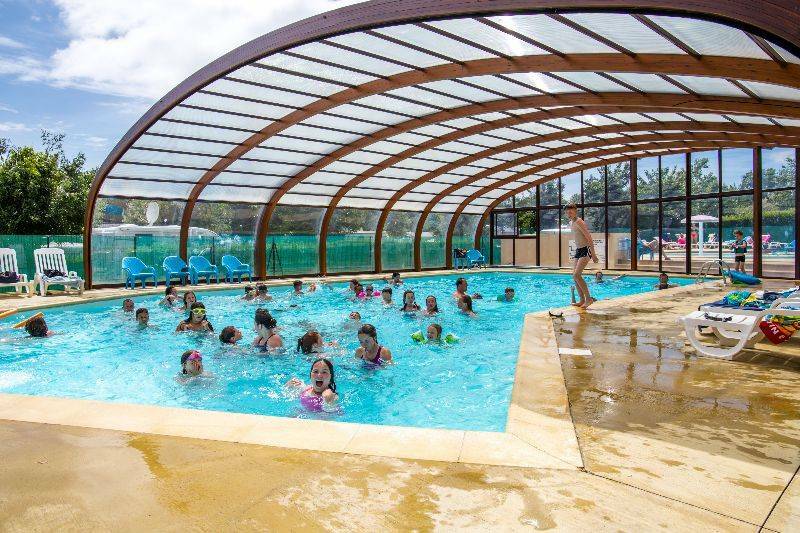 Between two walks on the coastal paths of the area and after eating a bunch of crepes, you will enjoy the heated pool and paddling pool which are open every day. 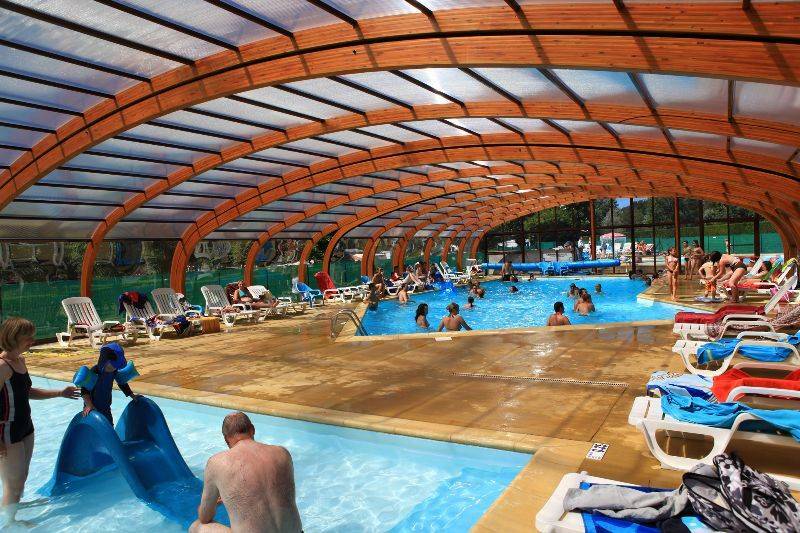 With its opening roof, the indoor pool of the Kervilor welcomes you whether it is sunny or a little bit cloudy. You will still warm and enjoy the sun of La Trinité-sur-Mer. The main pool is 120m² big and you will also find a paddling pool with a small waterslide and place all around to relax and read a nice book.